Product prices and availability are accurate as of 2019-02-03 16:26:32 UTC and are subject to change. Any price and availability information displayed on http://www.amazon.com/ at the time of purchase will apply to the purchase of this product. Features stainless steel design, satin finish top and handle. 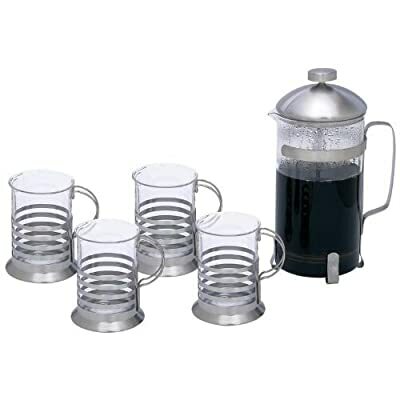 Includes glass French press and 4 glass cups. Gift boxed.